Futures do not trade in shares as stocks do, rather they trade in standardized contracts. Each futures contract has a standard size that has been set by the futures exchange on which it trades. As an example, the contract size for gold futures is 100 troy ounces. That means when you buy 1 contract of gold futures, you have control of 100 troy ounces of gold. If the price of gold were to move $1 higher, it would result in a profit of $100 ($1 x 100 ounces). A new trader needs to become familiar with each commodity and futures contract since the quantity of different futures varies. Futures exchanges often call delivery months, contract months. If you are familiar with stock options, you already are aware that option contracts expire months designated by the exchange. The same system exists for options on futures. Options on futures must relate to a futures contract because of the delivery mechanism that is designated by the exchange. 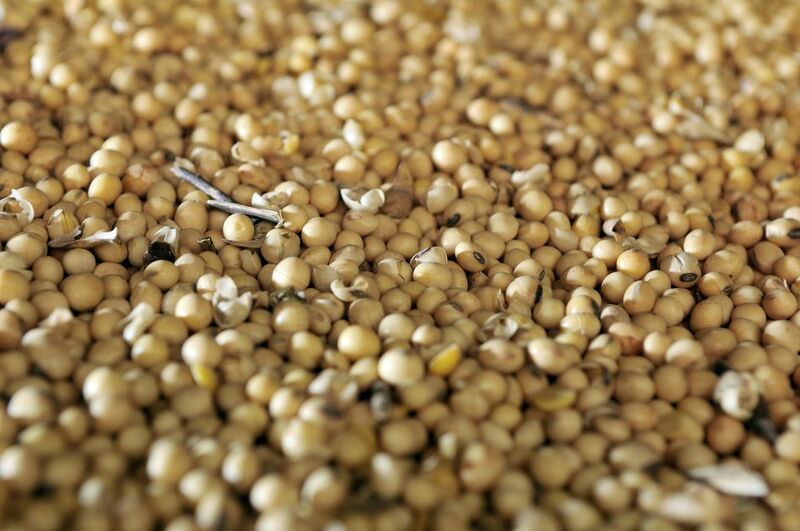 As an example, in a November soybean futures contract, a seller has the right to deliver 5,000 bushels of soybeans in November and a buyer has the right to stand for delivery of the soybeans. Some futures only have a few delivery months and others have a delivery mechanism in all 12 months. ​A futures contract expires after the designated date in the delivery month. Futures tickers differ slightly from stocks. Each futures market has a specific ticker symbol that is followed by symbols for the contract month and the year. For example, crude oil futures has a ticker symbol - CL. The complete ticker symbol for December 2017 Crude Oil Futures would be - CLZ7. Gold has a ticker symbol -GC and the complete ticker symbol for June 2017 Gold would be GCM7. In the case of oil the “CL” stands for the underlying futures contract. The “Z” stands for a December delivery month. (F=Jan, G=Feb, H=Mar, J=Apr, K=May, M=June, N=July, Q=Aug, U=Sep, V=Oct, X=Nov, Z=Dec) The “7” stands for the year – 2017. The minimum fluctuation or tick size describes the smallest increment a given futures market can move – also called a tick. For example, a tick in crude oil would be .01 or 1 cent. The contract size of Crude Oil is 1,000 barrels. To calculate the value of a tick, you would multiply 1,000 x .01 = $10. So, every time you see the price of Crude Oil move up or down .01, you know that means it’s a $10 move. A 5-cent move in the price of Crude Oil would mean it is worth $50 if you are trading one contract. In gold, the minimum tick size is 10 cents, since the total contract value is 100 troy ounces, one tick also equals $10 per contract. While gold and oil have the same per tick value, other futures contracts vary so make sure you familiarize yourself with the minimum tick values for each of the contracts you intend to trade. Contract Specifications are something you need to memorize before you begin trading commodities and futures. Costly errors can occur by not understanding these numbers. It is not uncommon for a novice trader to make a costly mistake by buying or selling contracts that are far too large and volatile for their accounts. It is always better to be prepared with knowledge before you start trading, learning the hard way can be very expensive.